I'm on a hunt for a cute camel colored bag, so I thought I would share some of them that I like! I found three great bags at three different price points showing that you can find your perfect camel colored bag at what ever price you can afford! 1. Less than $50: I found this bag at Forever 21 online. I love that it is a cross body bag because they are the easiest to carry around with you. And it's only $24.80! 2. Less than $250: I found this bag at Nordstrom online. It's called the Perlina 'Jade' Shoulder Bag. I like this bag because it's simple, has multiple pocket sections, and bonus: has leopard print lining. This bag is $248.00. 3. 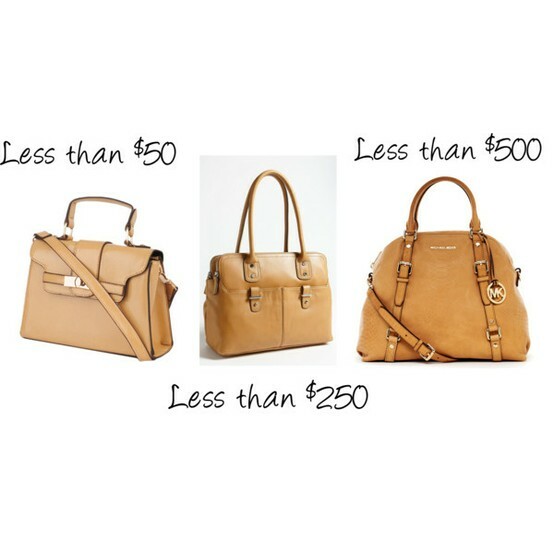 Less than $500: Oh, Michael Kors, you have done it again! I am in love with Michael Kors and all he makes and this camel colored satchel is to die for! It's $498.00, but I definitely think it's worth saving my money for! This beauty can be found here. Now, which one should I pick?? Hmmm...LOL. Do you have a camel colored bag?